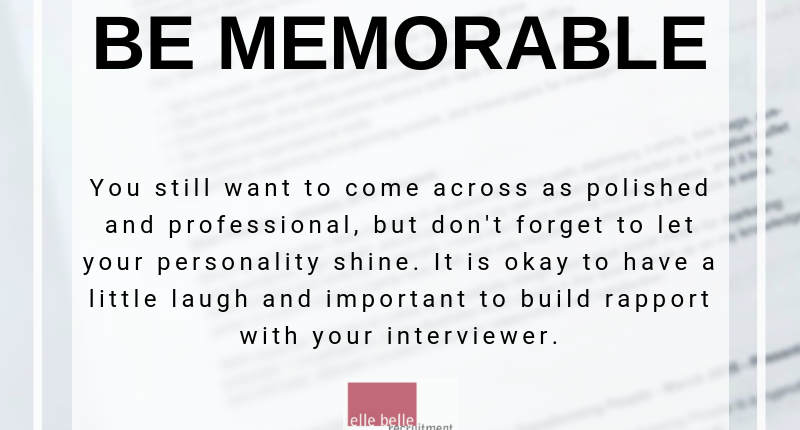 It is important to come across as professional and polished when in an interview situation, but don’t forget to let your personality shine as well. Think of the interview as not just the company interviewing you but also you interviewing the company. You want to be sure when joining a company that it is a good fit, kind of like dating. You will spend a lot of time at work, so fit is key to happiness. One key tip to keep things professional while letting your personality shine is to not disclose too much personal information. If the conversation starts gearing towards personal territory, turn it around by asking your interviewer a question.